Most of the companies maintain some sort of quality in their working environment. And these natures of work can be compared with the rest of the companies involved in the same field of work. To specify that comparison, these companies use some sort of benchmarking process. The benchmarking process helps to increase the competitive nature in different companies working in the same field of business. Benchmarking also provides a sense of awareness regarding the maintenance of quality in their field of work. Benchmarking is a process where different companies compare their nature of work with other companies in the same field of business and they set certain type of standard of working. It is a matter of work from different companies which creates some standard for the work they deliver. And this standard of their work is considered and called as benchmarking. This benchmarking allows different companies to compare their work ability with other companies. Benchmarking is mainly used to assess the competitive insight and also gather the information based on the performance which was done through out the product or organization development process. With the help of this benchmarking process, we can evaluate and identify the process to eliminate hindrances which helps further in improving and enhancing our performance. In external benchmarking process, the comparison of organizational performance towards the company peers or across companies. Benchmarking is usually a process to see how the competitors are working or how they are able to gain success. When using process benchmarking, the data is gathered via research, surveys, and website visits. All these information is helpful for people who are working on similar kind of tasks and objectives. Here when comparing competitors or analyzing clients, numerical metrics are gathered as information. organizations which are aiming for their long term goals. There are different types of benchmarking which helps in understanding the actual concept of the benchmarking process. Most of the benchmarking process involves a legitimate competitive element in different types of business. As per the abbreviation goes, it can be elaborated as strength, weakness, opportunities and threat. It is a combination made of strength & weakness with opportunities & threat. In this type of benchmarking process, most of the companies provide their own strength, weakness, opportunity and threat. And finally, the result of all this analysis covers up a new idea of change inside the company itself. There is some kind of criteria which needs to be considered while benchmarking and these criteria provide some sort of dimension for all the companies. And in this peer benchmarking the competition is among those industries or companies which deals with a similar field of work. Therefore, the comparison is among those companies which deliver similar work field. It is one of the forms of combined benchmarking where in which a group of companies joins hands with some relevant association and that association helps them provide the report that can be necessary to deliver their benchmarking aspects. Therefore, group benchmarking or collaborative benchmarking allows all the information of the different companies through those associations and actual work of those associations is that they need to provide better reports of benchmarking of their companies. In this form of benchmarking the companies look forward to those companies which already made their impression on the business field. The practices which they followed to be in the top list of the best companies are followed and incorporated by the rest of the company which aspire to be similar like that successful company. Therefore, it is necessary to create benchmarking where in which it includes all the best practices delivered and reported by the company. Benchmarking process is a process in which all the different steps are included which helps all the companies from the similar or different work field find out their strengths and weakness. These steps provide all the aspects of the companies which can provide them an actual success rate of their company. In this phase of benchmarking the company identifies all the aspects of their company which can help them determine their benchmarking criteria with the rest of the company. Therefore, in this phase of work the company finds out all the important aspects of their companies, which can rank them as one of the best in the industry and also can deliver information such as their success rate and element of their work order. In this planning and research phase, the company provides necessary information about the different aspects of their company. After understanding all the aspects of the company, the company arranges for planning phase where these aspects of companies are examined for the goodness sake of the company and finally it goes through a research phase where all the planned aspects are researched completely for the best of the companies. At this stage of benchmarking, all the data collected from the planning and research department are maintained through some sort of methods and measures. Therefore, these methods help the company provide the final and comparative aspects of the company which can consider themselves different from the rest of the company. And the final data collected through this collection stages are considered as a fact of comparison. In this stage of benchmarking all the finding and output delivered by the planning and research department are examined for the purpose of overall development of the company. Therefore, this stage examines or analyzes all those findings from the previous phase to deliver the final word of benchmarked aspects of the company. At this stage of benchmarking the final examined data collected from the examination stage can be provided with the necessary recommendation of development of the company. After examining the output of the benchmarking aspects of the company, the same company will create some development programs within the company to improve their working efficiency of the company. In this final stage of benchmarking all the aspects that are examined and developed are finally incorporated in the company for the overall development of the company. After finding the aspect which needs to be incorporated in the company, the company can provide a particular supportive environment for such change in the company. Therefore, all the necessary facts and those matters of the company which can turn it into a successful company needs to be incorporated in the company. Benchmarking is a widely used global management process, which is very helpful for the organization development and success. But still most of the industries do not use benchmarking process as an efficient tool to boost their performance and productivity. Here we have designed 24 benchmarking tactics that can help companies develop and build winning techniques and plans. There are several advantages of benchmarking. 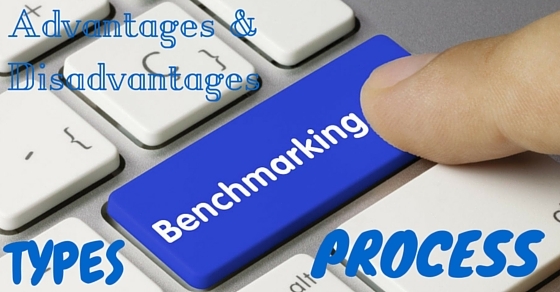 Most of the common benefits of the benchmarking help to improve the productivity of the company. Moreover, these advantages can provide a clear picture about the key factors of benchmarking in the company. And an increased productivity elements, display the successful features of the company. One of the common type of benchmarking where in which all the beneficial aspects of the company are creatively implemented for the overall development of the company. The benchmarking process helps the company find out their key features and after finding out the key features of their company, that company compares it with another company to complete the picture. And if there are any filling to be needed, then the company starts implementing creative ideas for the company. Most of the time while doing business and while running a successful company, that company faces some strong competition from the rest of the companies. And that competition helps the current company to maintain their position even better in terms of their success rate of the company. Therefore, as per the statement of benchmarking process it definitely increases healthy competition among different companies. It is clear about benchmarking that it deals with those findings of the company and another company which helps them find their position in the business market. And if there are any chances or space available for improvement in the company activities, then the company needs to develop those improvements in the company for the growth of the company in its own terms. One of the best possible advantage of the benchmarking is that it can help all the companies to identify their own essential activities that can improve the profits of the company. Therefore, after benchmarking it is very much important for all the companies to be identified in the list of companies, which is in a run and where it can deliver the victory of their company effectively. Because of benchmarking once the company identifies their strengths and weakness compared with the rest of the company, then it is quite clear that all the aspects of the company need to be improved at a time to time basis. And finally the company can deliver some sort of ways which can deliver quality in their working order. Therefore, benchmarking makes things clear and creates some sort of awareness among the company working environment. As it is explained earlier that the benchmarking process, identifies all the features and elements of the company which can lead them towards its success. And eventually, it also provides essential signals regarding the need and wants of the company. Once the company finds out about the actual requirements of the company, then it can increase its work performance as per the comparison aspects. As the company can receive some sort of benefits from these benchmarking processes, then it is quite obvious that the company can be covered with some of the disadvantages as well. And those disadvantages are as follows. Most of the company compares their working environment with another company which is earning quite well in the similar field of work. After finding out the reason for the improved success rates, the company can incorporate those ideas of that company to improve their productivity. And eventually, they stabilize their standard to that one aspect, without its course of action. Sometimes it happens that while comparing the aspects of different companies, the information acquiring company can be left behind with their information gathering techniques. And that is why it can face tremendous loss in their business because of insufficient information about the company. Therefore, it is very essential for all the companies that they need to be sure of their information about that another company. Most of the time when a company sets its standard and try to improve that standard by implementing some new and creative ideas, then at that time the company need to look at those companies which are doing quite good in their similar type of business. And analyze the actual problem in their company. Once the company finds out the actual reason, then they need to research well about the element that whether it is feasible for the company or not. Most probably during the benchmarking process the company finds out those outputs which can need to be improved and developed for the sake of the overall growth of the company. Hence, for that the company needs to look into the matters which can increase their productivity along with their customer satisfaction. Therefore, instead of incorporating the ideas that another company used in their company, it can check for its feasibility in their own company. As most of the companies keep an eye on their competition instead of their own growth, it is quite clear for all the company that such type of obsession with another company can not lead the company anywhere. Therefore, it is advisable for all the companies that they need to understand the need for benchmarking in their company instead of spying on another company. Most of the companies think that benchmarking helps them improve their company position as it helped those successful companies to be in the top. But most of the companies forget that those companies which made themselves to that top position have earned their hard work. Therefore, instead of depending on the ideas which made that company successful, they can build their own network to make them independent for the better future. As per the definition, benchmarking is a process of comparing your performance with your competitors in the market. This competitive analysis helps you improve your strategies for growth and development. Finally, the bottom line is that this discussion about the aspects of benchmarking and their process can provide essential information about the actual activities of the company. And those activities of the company create a marginal line between successful and aspiring companies. Most of the company looks forward to those companies which made quite a great effort in their business. Therefore, this information about benchmarking can provide skilful knowledge about the advantages and disadvantages of the benchmarking for their own company understanding.